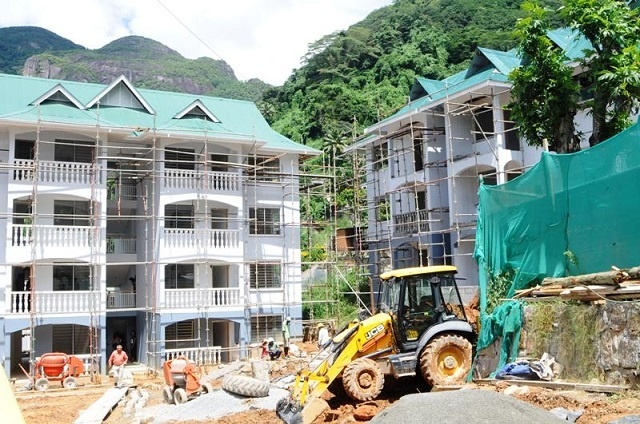 (Seychelles News Agency) - Seychelles' Fair Trading Commission says the most common complaint it received in 2018 was people unsatisfied with services provided by construction companies. According to the Commission, 214 complaints were lodged last year out of which 117 were related to the services departments. There were 97 complaints pertaining to consumer goods in 2018. Although fines totalling up to $32,000 (SCR 434,000) were imposed on companies or individuals found to be in breach of the Seychelles’ Consumer Protection Act in 2018, some of the cases dated back to 2016 and 2017. The fines for cases in 2018 amounted to $8,795 (SCR 120,000). Lebon said that the cases that have taken two to three years to reach a settlement took longer because often they are more complicated and longer investigations are needed to reach a settlement. The chief executive said the number of cases dropped to 214 last year compared with 294 in 2017. He said that the decrease can be attributed to the commission’s advocacy and educational programme. “When consumers are more aware of their rights and their responsibilities, they can make decisions at their own level to the supplier of goods or services,” he said. The Fair Trading Commission is an independent government body established under the Fair Trading Commission Act, 2009. The Commission’s aim is to safeguard the interests of consumers, promote competition and fair trade in Seychelles to benefit consumers, businesses, and the economy. The Commission is empowered to carry out investigations in relation to the conduct of business to determine if any enterprise is engaging in practices that in breach of the Consumer Protection Act of 2010. With regards to fair competition on the market and between businesses, Lebon said that the commission is doing its best to prevent unfair practices and cartel and for that to happen there needs to be strong evidence. “Companies and individuals should always think about fair trade when they are selling a service or product to someone, while consumers should always look for goods and services with value for money,” advised Lebon.